Unlike other spine rougher that grinds the spine creating lots of noise and dust. 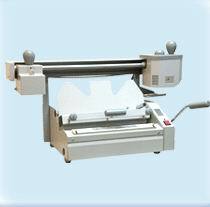 This perfect binder with dust-free spine roughening unit, it opens the paper grain with very little noise and there is no paper dust. 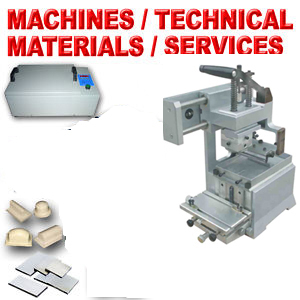 It makes the machine suitable for handling the most difficult papers and making the solid bind. ※ Compress the spine into a shape of fan to increase the sticking surface. 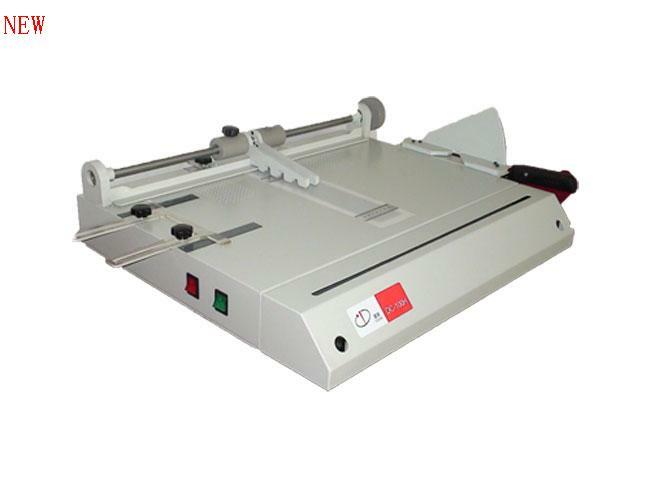 This machine is ideal for businesses, schools, churches, photo and printing shops to perfect bind hardcover and paperback books, menus, school yearbooks, directories, phone books, etc. What is perfect binding ? Perfect binding is a method of bookbinding that is utilized for many types of less expensive books, manuals, and other simple collections of documents. Unlike some binding processes that require sewing the pages into the spine of the book, perfect binding requires no sewing at all. Instead, a water-resistant adhesive is used to hold the pages in place by attaching them to the cover of the document. The perfect binding book thickness can reach 4cm/ 1.57'', the thickness of dictionary and bibles. Stock in USA, Cabada, Hong Kong 3 warehouses !!! Shipping from HongKong to EUROPE, UK, Ireland, France, Spain, Australia, Mexico : $240 by UPS, DHL, Fedex by air. Door to door. Please contact for shipping cost for other countries. Delivery time: about 7 days. Machine return to us and ask refund should be charged 15% restocking fee. For big problems, they can ship the machine back and we change a new one for them, or refund them. What make our machines easy to maintain is that most of our machines are manual, so it's easy to learn to fix and easy to use. Question email: dingstore@hotmail.com . We will reply any answers within 24 hours.